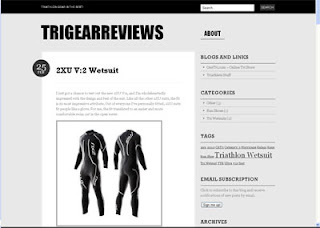 I'm contributing to a new triathlon gear blog called TriGearReviews.com. There are about 5 triathletes that I work with that are now contributing to it. Give us a few weeks to start ramping up. We're having fun working on the blog.